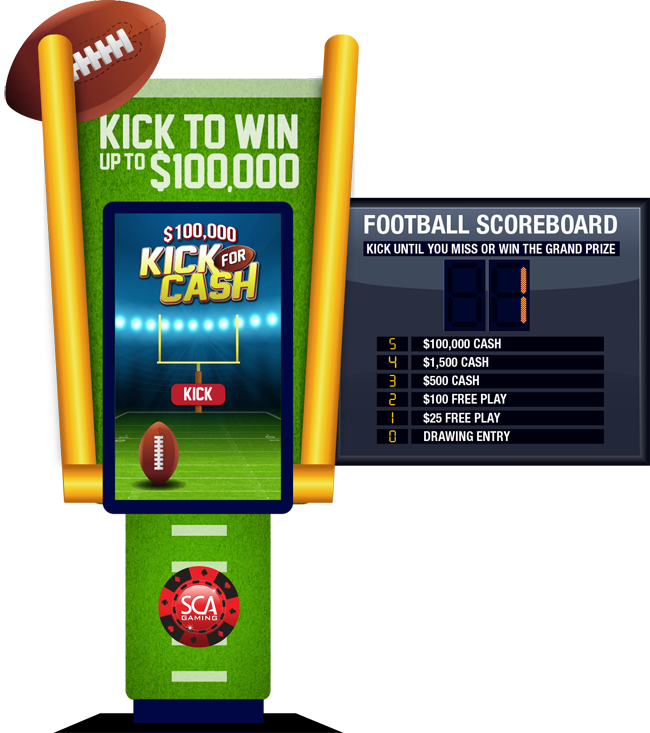 Kick for Cash™ delivers digital game play on a giant vertical touch screen. Qualified players tap the “kick” button on the screen to launch the football across the field toward the goal posts. Contestants “kick” until they miss the goal. Making five (5) field goals earns the player the grand prize! The “Football Scoreboard” displays winning goal prize values. 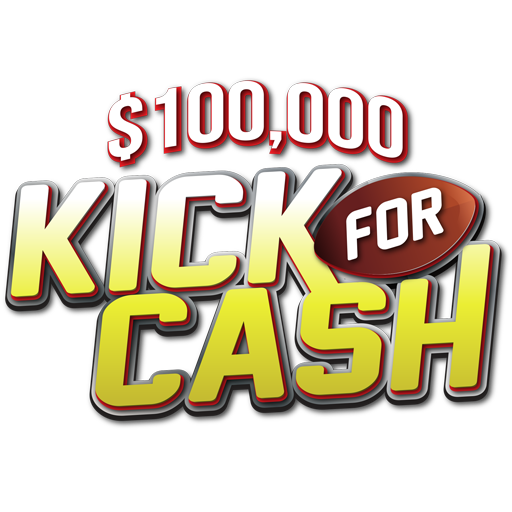 Kick for Cash™ is offered with custom prize packages, kiosk surround and scoreboard. 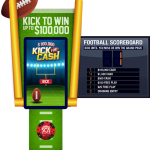 Contact us today to learn more about how Kick for Cash™ boost return visits and drive incremental revenue at your casino this football season.